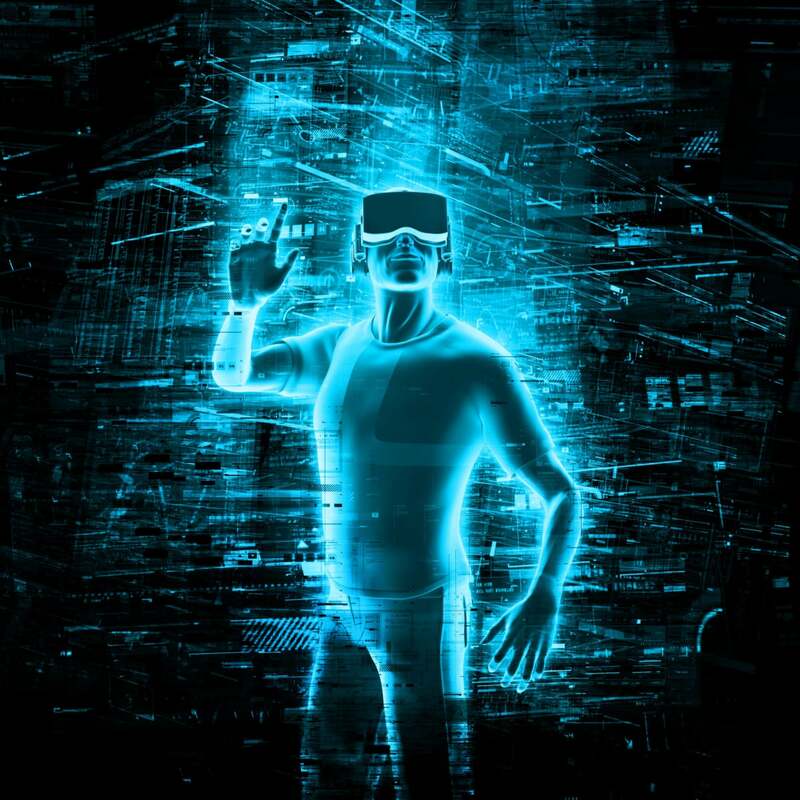 How immersive technologies such as virtual reality (VR) and augmented reality (AR) traffic streams will be the next wave of disruption for networks. In the late 1990s and early 2000s when it became too difficult for large companies to manage their own WAN footprints, they adopted managed multiprotocol label switching (MPLS) services. These offered a simple connection at every location and offloaded the complexities of building large-scale routed networks from enterprises to the service provider. The advent of cloud computing, however, changed the dynamics of MPLS forever. Enterprises not only needed ubiquitous site-to-site connectivity, but also required better performance from the network to support Software as a Service-based business applications hosted in third-party data centers. In addition, video was becoming a standard mode of communication for corporate meeting and training applications, boosting the need for more bandwidth across the network. Customers started to demand much better performance from their MPLS providers, including faster connections to cloud services. These days, most large Software-as-a-Service (SaaS) providers like Microsoft, Salesforce.com, etc., have expanded their networks and established peering at major colocation sites like Equinix, to provide better performance to enterprise customers. These changes led MPLS providers to modify their networks for quicker exits to the closest cloud provider location. So instead of optimizing networks for transit and backhauling services, carriers adapted their network architectures to accommodate early service termination. Although SaaS applications are currently the most commonly used cloud services (email, web presence, business productivity, etc. ), IaaS is growing at a faster rate, according to research firm Gartner. Unlike SaaS, IaaS introduces a different set of network challenges for enterprises, especially with respect to security. This is where service providers can orchestrate NFV offerings beyond just transport circuits to meet compliance requirements for enterprise customers in regulated industries, such as managed firewalls, IDS, IPS and transport encryption. As mentioned earlier, multimedia has emerged as one of the primary modes of communication for peer-to-peer exchanges and corporate meetings. This has created a significant increase in video traffic, which according to some estimates accounts for more than 70 percent of Internet traffic today. Other factors contributing to the explosion in video traffic include streaming services like Amazon Prime, Netflix, YouTube, etc., that have become preferred methods for viewing content. Primarily because they afford the flexibility to access entertainment whenever, wherever and on whatever device users want. In addition, user-driven video content delivered via services like Periscope, GoPro, etc. are also fueling the growth of video traffic. This includes new applications like dash cams, body cams, etc. which are transferring content to cloud-based video analytics platforms. This massive growth in video traffic not only increases demand for bandwidth, but also requires lower latency. Video content providers, just as SaaS providers before them, are also being forced to peer at larger numbers of locations to reduce transit latency. However, the peering model at colocations might not be able to satisfy the latency and compute requirements that will be generated by IoT applications and immersive new services like virtual reality (VR) and augmented reality (AR). VR and AR use 360-degree video to allow users to see and experience an environment from all angles in order to create the sensation that they are in the digital content they are watching. This immersive experience has tremendous potential in both corporate and consumer applications like tourism, entertainment, corporate meetings, education and health care. In short, there is a very high probability that VR and AR will produce unprecedented levels of data that will need to be transported across the network. As a result, last-mile networks will need much higher traffic management capabilities to meet the very low-latency, high-throughput demands of immersive content. Meanwhile, IoT will also consume more network resources as connected devices communicate with their cloud-based command and control centers to share monitoring and control data from real time feedback loops. These devices will generate large amounts of data, but not to the same extent as video services. This next inflection point is creating a significant opportunity for Tier 1 service providers to repurpose their large real estate at COs and POPs to provide predictable latency for these rich content applications. They will need to increase their regional colocation and direct peering with content providers at as many locations as possible, since both bandwidth and latency will become equally important. This will require a new architecture of highly distributed edge clouds, capable of bringing compute and storage as close to the user as possible. Finally, network programmability will be needed to provide the agility to instantly modify systems and applications in response to fluctuating demand. SDN and NFV, which enable the end customer to make policy changes that are automatically propagated across existing network infrastructure, are ideally suited to address these challenges. Khalid Raza is a co-founder and CTO at Viptela, a Sequoia-funded technology company focused on SD-WAN. He is a former Distinguished Engineer at Cisco, Distinguished Technologist at Hewlett-Packard, and widely regarded as a visionary in routing protocols.